“Yeah, yeah” -Cube voice- Director F. Gary Gray known for his urban powerhouse films, Set it Off and Friday, has started work on the biographical film about NWA. Straight out of Compton is slated to hit theatres August 2015. This photo was posted on the web earlier displaying group superstars Cube and Dre with the actors who will portray them. Ice Cube will be brought to the big screen via his son, O’Shea Jackson jr. 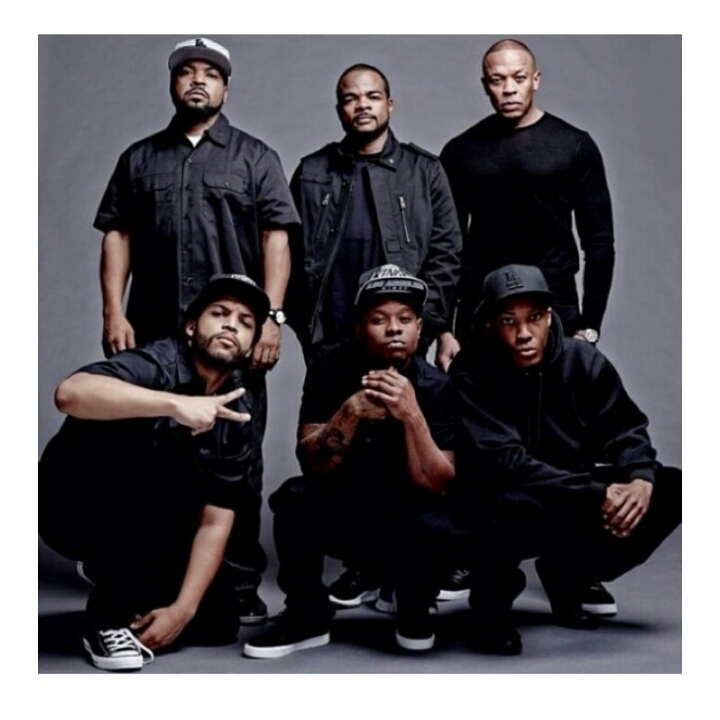 While Dre and Easy E will be played by actors, Jason Mitchell and Corey Hawkins. But where is M.C Ren? The film will follow the tumultuous rise and fall of the world’s first gangster rap group. This entry was posted in Uncategorized and tagged DRE, film, Georgia Williams, Hip hop, Ice Cube, music, NWA. Bookmark the permalink.